Laundry wash balls are bounding in the Mom Always Finds Out laundry lab lately! The Oransi Robby Wash Ball (Fuschia) is my newest laundry room test subject. This high efficiency, hypoallergenic wash ball works to clean your laundry by using small, round Ecofriendly laundry soap (called macro-molecule balls — the balls are a little bit bigger than the size of green peas) that last for about 2-3 months (120 washes) inside of the Robby Wash Ball (about the size of a tennis ball). Robby Wash Balls come in a couple of different options: Fuschia Wash Balls for extra cleaning power on dark clothing (cold wash only) and Blue Wash Balls for both warm and cold temperature washes. Each Robby Wash Ball kit costs $32.95 and will last for up to 12 months or 360 washes. The Wash Ball kits come with a stain stick and three extra packets of the macro-molecules for when you need to refill the Robby ball. One Robby Wash Ball kit will effectively clean a 10 pound load of laundry. For larger loads, you will need to use two wash balls to get the necessary cleaning power. The wash ball itself will last for 2-3 years, so you will only need to purchase the macro-molecule laundry soap refills. The Robby Wash Ball can be used by anyone, even people who have sensitive skin, including babies. The wash ball can be used to wash cloth diapers, but I was unable to test the fuschia ball with my baby’s cloth diapers since fuschia is for cold washes only. How well did the Robby Wash Ball clean my clothes? I used the Fuschia Wash Ball on my colored clothing and thought it did a fine job of washing, including taking care of a few minor dirt stains and any odors. I applied the Robby stain stick to a couple of stained areas before tossing into the wash, and those areas came clean. The wash ball is supposed to leave a light fragrance on the clean clothing, but if it did, I did not really notice it. My clothes came out soft and clean. My other thoughts on the Robby Wash Ball? It was simple to use, although it is necessary for my large loads of laundry to use 2 wash balls, which doubles my initial cost. However, it still pans out to be an economical choice over purchasing conventional laundry detergents and it is definitely a good choice for the environment – saving hundreds of pounds of laundry detergent from going down the drain. One thing I really enjoy about using wash balls is that they eliminate the need to measure detergent – I just toss the wash ball into the machine and it does the rest. I also like that I can leave the wash ball in the machine so that it is ready for the next load. Would you like to try Robby Wash Balls? Visit the Oransi website for more information and to purchase their products. ENTER TO WIN AN ORANSI ROBBY WASH BALL here at Mom Always Finds Out! One lucky reader will get to try a Robby Wash Ball kit for free! USA residents (no PO Boxes, please) can enter to win this giveaway between now and June 18 at 11:59pm PST. Winner will be randomly chosen by the WordPress plugin “And The Winner Is” and emailed with 48 hours to claim their prize. MANDATORY ENTRY: Please follow Mom Always Finds Out on Google Friend Connect and visit the Oransi site (find link in above review) so you can leave a comment telling me your favorite thing about the Oransi Robby Wash Balls. *Add this giveaway to any giveaway linky on other family-friendly blogs (make sure it isn’t already listed) – unlimited entries! Disclaimer: I was provided a Fushia Robby Wash Ball kit for review purposes. Opinions expressed in this review are honest and my own, based on experiences with this product. Sponsor is responsible for prize fulfillment. I love that it’s for use in cold water, since I do my laundry in cold to save energy! I follow with GFC. Well my kid isn’t old enough to help with laundry yet, but I have recently started using wool dryer balls and I feel great about eliminating the chemicals from softeners and that it less trash in the environment! I am following you via Google Friend Connect and What I found out about Oransi Robby Wash Balls is they Guard fabrics against oxidation and discoloration caused by chlorine in the water, and maintains your clothes’ springiness. Fun Entry: My granddaughter loves to help me do laundry.. She wants me to put her up on the washing machine and let her sit on the side of the washer while she throws/drops the dirty laundry into the machine. Then she wants to shut the lid and sit on it while it starts aggitating. She likes to help fold the wash rags too (when we do whites). She thinks it’s awesome that she can help do the laundry. seems like they last really long, making them a great value! We do a matching game to find matching socks in the laundry. I love that these are good for the environment! I’m a green mama! LOVE the money saving aspect of this system. I spend so much money on clothes cleaning supplies. GFC follower as lewalk. I love that it lasts for 12 months! I like the ionic Fridge Air Purifier. 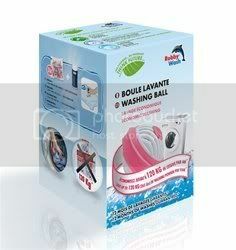 i like the fact that the Robbi Wash Balls are good in hot & cold water. A good way to get kids to help with laundry (or anything, for that matter) is make a game out of it. Put toys in the laundry room, make the laundry room a place where a kid might want to hang out, and then maybe they’ll be curious about what you’re up to with those machines. Or, if they’re older, just put your foot down and refuse to wash their clothes. Tell them if they want clean laundry they can wash, dry, and fold it themselves. You aren’t their maid! I love that you can just leave it in the washer. My daughter has recently started helping me with the laundry and our detergent disappears like mad because she uses too much. This would make both of our lives easier. Thanks for the giveaway! I have to make my older daughter help me, but my 2 little ones love to sort the laundry. They dump all of the laundry into a pile and sort it by color (they are both working on colors right now). That is one of their favorite things to do and it helps all of us! I follow on GFC. I love that they are good for the environment and save you money. I follow on GFC. I like that they save you money and still get the job done! A fun way to get little ones to help with the laundry is to get them each their own basket to put away their clean clothes. It’s also fun to have them match up their socks. I like that it will save me money, I’m all for that! oops…and I like that you get 12 months of washing out of this little ball! My favorite laundry tip is to have your husband do the laundry! I hate laundry! I follow your blog on Google Friend Connect. I like that the kit lasts up to 12 months or 360 washes saving money and helping the environment.